Please call for pricing and availability. These shoes come in men's size 7-15 in medium and wide widths. Haystack brown, oiled, full-grain leather uppers give these classic-styled oxford shoes long-wearing durability and a soft, flexible fit for all-day easy wear. Oil-, abrasion-, and slip-resistant rubber outsoles provide needed traction for reliable sure-footing on a variety of surfaces. These antimicrobial shoes also provide electrical hazard protection. Durable cushioning in the molded heel cups within open cell polyurethane footbeds offers outstanding support and easy wear for less foot and leg fatigue after long days on your feet. 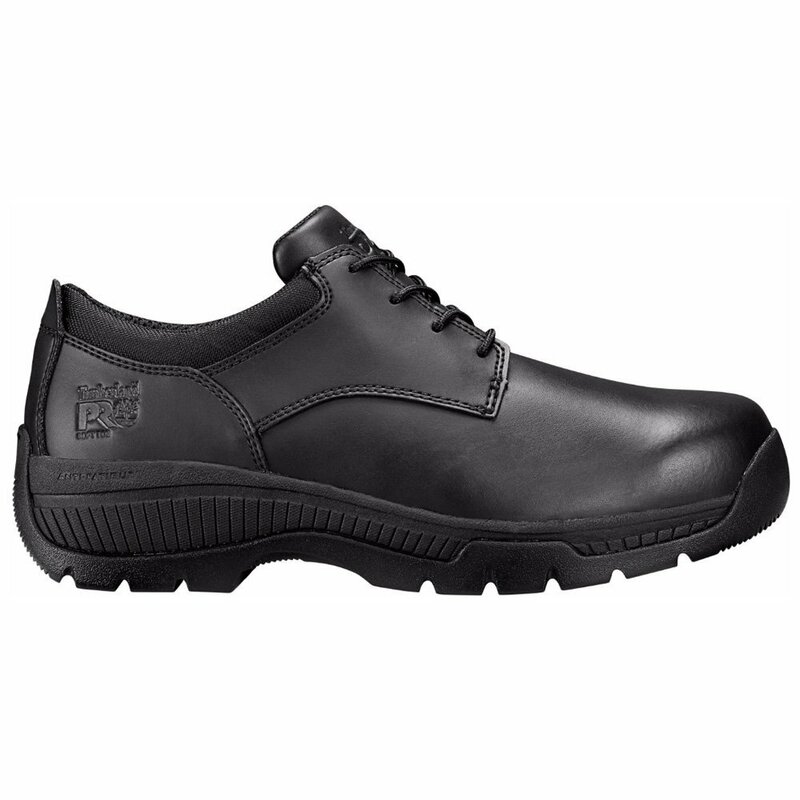 Nylon shanks provide lightweight arch support and feature shock diffusion plates to spread the pressure of impact for comfort that lasts the whole day through. Reliable and ready for all conditions, this waterproof hiking boot has a water-shedding upper and a lightweight build to keep you going. Please call for pricing and availability. These shoes come in men's size 7-15 in medium and extra wide widths. These dark mocha, 6-inch boots are made with waterproof leather uppers that protect you from the elements. A waterproof membrane on the inside of these slip-resistant boots will make sure you stay dry. An Agion antimicrobial treatment guards against odor-causing bacteria inside these waterproof boots. Contoured, open-cell footbeds made of polyurethane soften your steps in these dark brown boots. Shock-resistant, lightweight polyurethane absorbs impact before it can impact your feet. The midsole layers of these soft toe boots are filled with molded polyurethane material. Non-metallic, lightweight nylon was used to create the supportive shanks. The abrasion- and oil-resistant tread stands up to heavy use and common corrosive chemicals. A slip-resistant tread gives you traction even on wet, slick floors in these antimicrobial boots. The heat-resistant rubber is designed to give you good traction, even on a variety of surfaces. Please call for pricing and availability. These shoes come in men's size 6-15 in medium and wide widths. 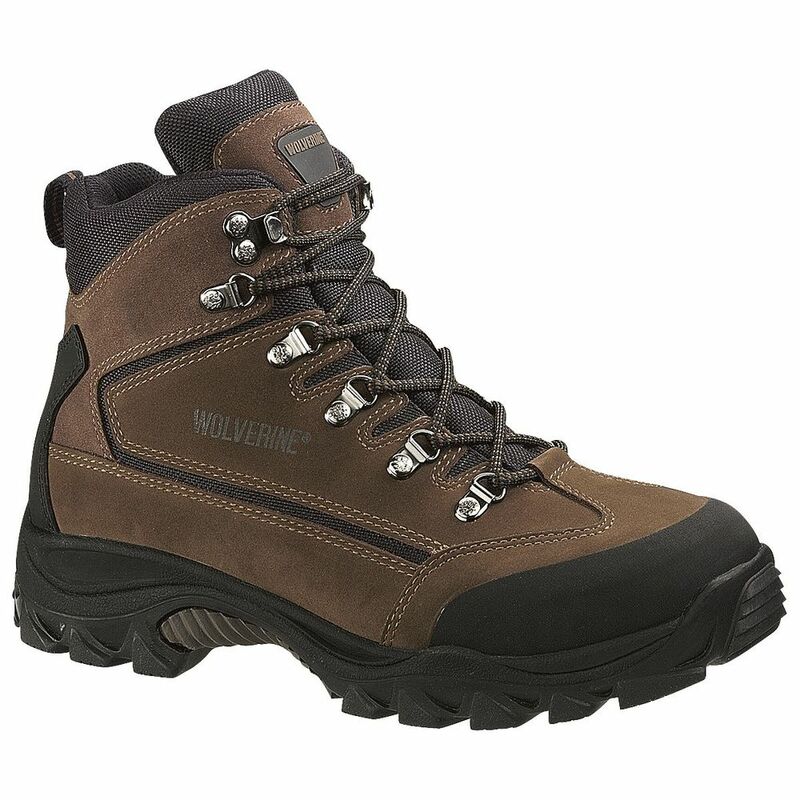 With an essential slip-resistant sole for safety, this Wolverine DuraShocks® work boot is engineered for energy in every step. Rugged, lighter materials to give you protection and comfort without the weight. Direct-attach construction and Dri-lex® lining keep feet dry, with durable yet lightweight support to fight fatigue. An ultimately comfortable boot built to give you unparalleled flexibility– both in how it moves and the ways you can use it. 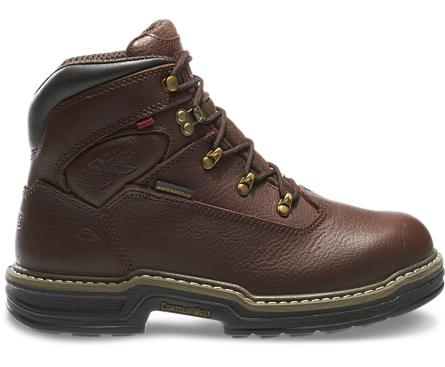 From casual days to cruising woodlots, this waterproof work boot keeps feet dry while following your every move, generating steadfast comfort and energy from a ContourWelt™ and Wolverine MultiShox® platform built into every easy-flex step. We guarantee you’ll feel the difference. 30-Day Comfort guaranteed! • Feel the 30-Day Comfort Guarantee difference. Wear them for 30 days and get a full refund if not completely satisfied"
Please call for pricing and availability. These shoes come in men's size 7-14 in medium and extra wide widths. 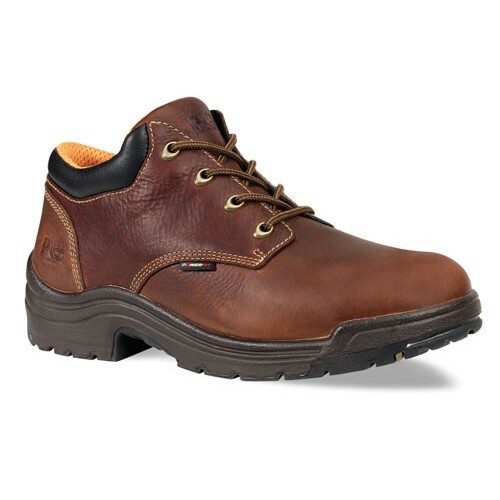 You deserve a comfortable work boot; as you walk on the Rocky Air-Port footbed your feet are comfortable. The cushioning and support of this polyurethane insert also provides shock absorption. 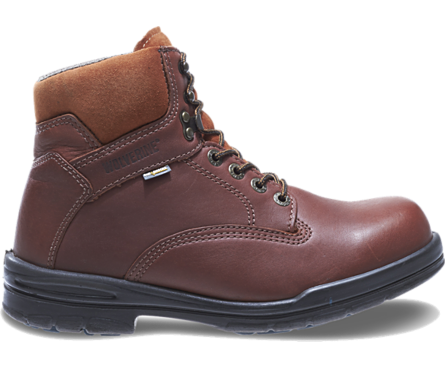 To give this leather boot flexibility and padding, Rocky incorporated a lightweight EVA midsole. On the bottom, there's a sturdy 7-layer oil- and slip-resistant outsole. Often the lowermost part of a boot gets overlooked; this IronClad is durable, comfortable and dependable from top to bottom. Please call for pricing and availability. These shoes come in men's size 8-14 in medium and wide widths. Please call for pricing and availability. These shoes come in men's size 8-14 in D and EE widths.